The bed was amazing real comfortable couldn’t even get out of bed because of how comfy it was. Very nice facilities. We got there late and had to leave early. We were in the city for treatment at M D Anderson. None of your options is for medical reasons. We are from out-of-state. The price is acceptable. We will have to go back the end of March and probably later for treatment also. Our expenses are mounting. We would appreciate getting a discount for medical treatment in the future. We also have AAA and AARP. Everything was good it’s worth the price very comfy and excellent service, great location u have everything u need. Beds are super comfortable and the breakfast was good! Very clean and comfortable. Breakfast is amazing ! 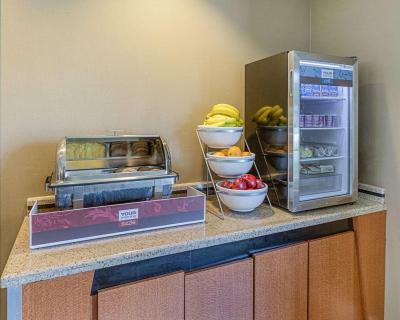 Comfort Inn & Suites Southwest Freeway at Westpark This rating is a reflection of how the property compares to the industry standard when it comes to price, facilities and services available. It's based on a self-evaluation by the property. Use this rating to help choose your stay! 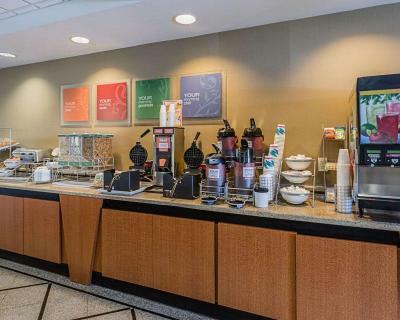 One of our top picks in Houston.Located just off the Southwest Freeway and less than 12 mi from downtown Houston, this hotel features a daily breakfast buffet, complimentary coffee and a seasonal outdoor pool. Free WiFi and parking are available. A 32-inch flat-screen TV is included in each room at Comfort Inn & Suites Southwest Freeway at Westpark. All rooms offer a refrigerator, microwave and in-room coffee machine. A work desk and ironing facilities are included in all rooms. The private bathroom offers a hairdryer. Guests of the Comfort Inn & Suites Southwest Freeway at Westpark have access to a 24-hour fitness room. The business center offers a public computer, fax and courier services. A guest launderette is available on the first floor. The hotel is less than 20 mi from the William P. Hobby Airport. Houston Museum District is within 6.5 mi and NRG Stadium is 5.6 mi from the property. 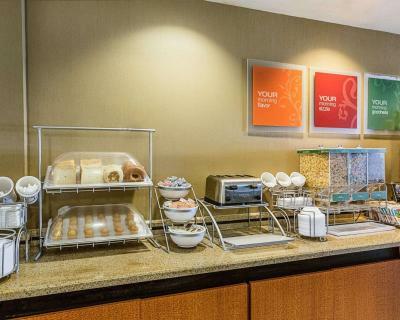 When would you like to stay at Comfort Inn & Suites Southwest Freeway at Westpark? This air-conditioned room features a coffee maker and a flat-screen TV with cable channels. The bathroom comes with a hairdryer and free toiletries. This air-conditioned suite features a coffee maker and a flat-screen TV with cable channels. The bathroom comes with a hairdryer and free toiletries. It offers a seating area and extra space. 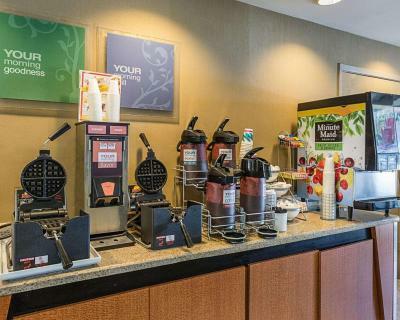 House Rules Comfort Inn & Suites Southwest Freeway at Westpark takes special requests – add in the next step! Comfort Inn &amp; Suites Southwest Freeway at Westpark accepts these cards and reserves the right to temporarily hold an amount prior to arrival. Comfort Inn & Suites Southwest Freeway at Westpark accepts these cards and reserves the right to temporarily hold an amount prior to arrival. Comfy bed, I’m a heart patient here for tests. My room was quiet and perfect for me to rest after my Dr appointments and testing. I will definitely be staying here for my future appointments. House keeping didn’t come every day and had to call for towels every day as well. The hotel showed many signs of wear and low cost maintenance. It would have been handy to have a wheelchair in the lobby for my use.